This Competitive is a Market - DON'T MISS A NEW LISTING AGAIN! Register with us to access advanced, custom search tools to help you stay one step ahead of other buyers. NO WEBSITE OFFERS MORE IN THE DESERT! Save a search with your parameters (# of bedrooms, price range, Subdivision etc.) and our Advanced Search Technologies will email alerts to you with new listings matching your criteria, so you can see the latest homes before your competition does! 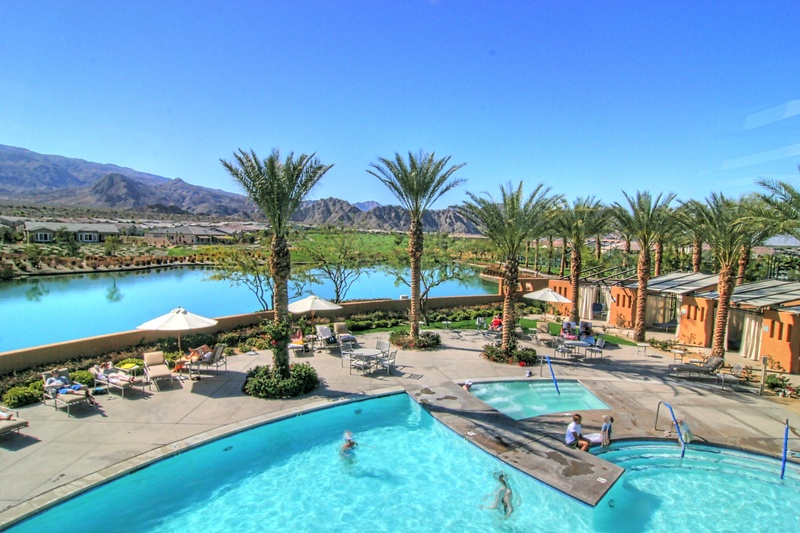 Learn more about the Coachella Valley. 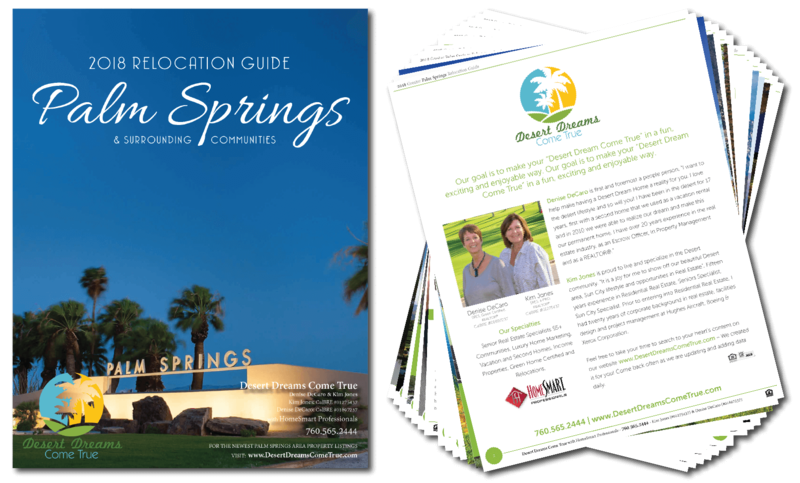 This comprehensive 80 page guide is a helpful resource to learn more about the Palm Springs area. Discover the diversity of various Coachella Valley communities, demographics, statistics, activities, jobs and much more. Plus, we are available to answer any questions or lookup additional community information for you. Desert Luxury Living - Desert Dreams Come True Real Estate Magazine - Receive the latest issue of our e-newsletter, which contains Real Estate Trends, Sales information, Lifestyle of the Southern California Desert, helpful real estate articles, tips and more. Desert Dreams Come True is all about living in our local communities: Palm Desert, La Quinta, Indio, Rancho Mirage, Indian Wells, Bermuda Dunes and Palm Springs. We'll tell you about popular events, attractions and activities, and some off-the-beaten-path suggestions as well. This site offers the most complete and intuitive real estate search tools available. The data you want are here, accurate and updated. Use our powerful "suggestive" search bar to refine your search. Browse sold properties. Whether you're looking to buy, sell, or just research market activity, you'll quickly see the power that this site puts in your hands. Browse Communities:Retirement Communities, Golf Communities, Condo Communities, Luxury Home Communities. © 2019 Desert Area Association of Realtors . All rights reserved. Information deemed to be reliable but not guaranteed. The data relating to real estate for sale on this website comes from Desert Area Association of Realtors and the Broker Reciprocity Program.sm. 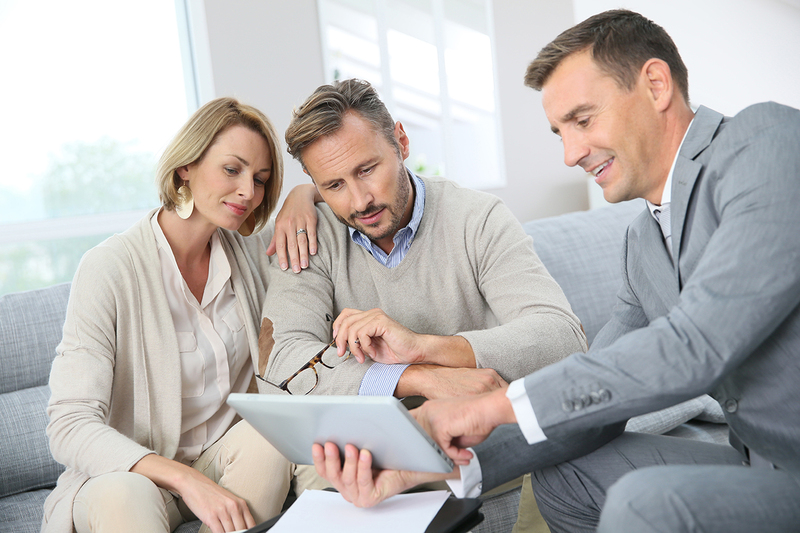 Real estate listings held by brokerage firms other than HomeSmart Professionals are marked with the BR logo and detailed information about them includes the name of the listing brokers. All measurements and all calculations of area (i.e., Sq Ft and Acreage) are approximate. Listing broker has attempted to offer accurate data, but buyers are advised to confirm all items. Information last updated on 2019-04-24.